Toy story is one of my all-time favorite kid movies. 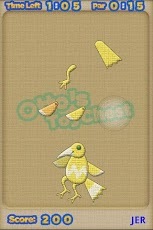 It shows the precious childhood playtime and interaction with toys. Toys have such personality and need to be fixed when broken. I was reminded of this when I was introduced to the Otto’s Toy Chest app. Otto’s Toy Chest is a super cute puzzle game where kids can fix broken toys such as Stick-eee the Frog and Bobo the bear. The app teaches puzzle placement using arms, legs, hats, tails etc. 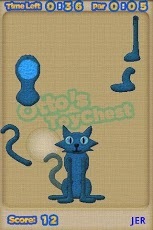 “Otto's Toy Chest is a game everyone can play! Otto’s moved to a new house and the movers didn’t do a very good job! Otto’s toys have fallen apart and you can help put Otto’s toys back together in a snap! You simply touch and drag the pieces of each toy together to bring them to life! Each colorful and friendly toy has its own unique animations and multiple outfits and accessories! There are twelve unique toys including, Poots the dog, Lily the cat, Stick-eee the frog, Flip the horse, Gigi the monkey, Bobo the bear, Carter the centipede, Babe the rag doll, Debug the Robot, Tweeder the bird, Gill the octopus, and Splint the spider! There are over 40 variations of toys to make - enough to keep you busy for a while!